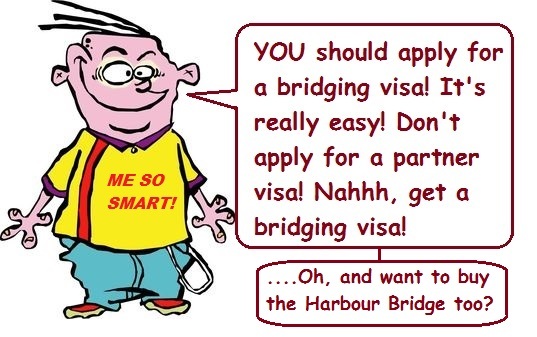 Can you apply for a bridging visa? A bridging visa is just like its name implies. It’s a bridge between visas, and nothing more. 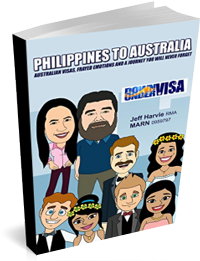 Yet there is a massive amount of misunderstanding out there amongst the visa-needing public about the bridging visa being this easy visa to apply-for when you find yourself not ready yet for a proper visa from Philippines to Australia. A bridging visa is one thing and one thing only. It’s a way to keep a visa applicant lawfully in Australia when they don’t have a substantive visa (which means basically a “proper visa”). It stops the applicant being in migration no-mans-land and being at risk of detention and deportation. So what is it, and how do you get one? So you did the right thing and lodged the visa application you had intended to lodge, eg an onshore partner visa or an onshore tourist visa application (so you can stay in Australia longer), and they haven’t finished processing it. Get the idea? And while that processing takes place, you get normally a Bridging Visa A (BVA) so you can remain in Australia and not have to leave (or risk being tossed out unceremoniously). And that Bridging Visa A remains until they make a decision on the substantive visa application. All things going well, they grant the visa that you really wanted and the Bridging Visa A winds up automatically having done all that it was meant to do in the first place. 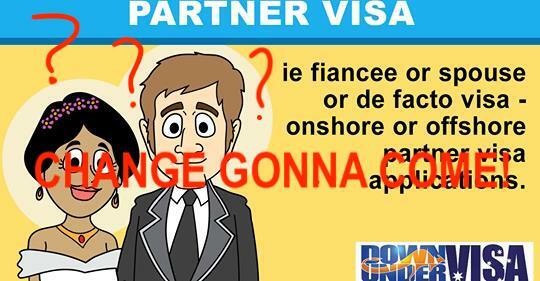 So the bridging visa is not an easy alternative visa? I’ve repeated this statement more times than I could ever remember over the years, and it’s an essential concept to grasp. 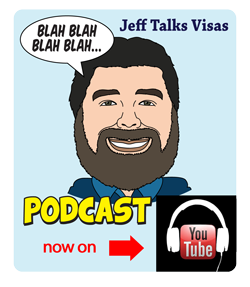 Visas are grants! They are not rights! 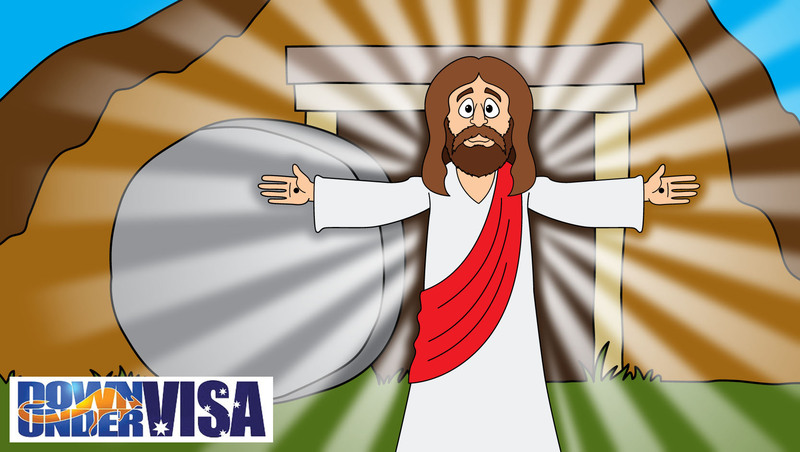 You are not purchasing a visa, and you are not saying “I think I’ll have………” before putting your money down on the counter. Yes, they are expensive and you could be justified in thinking you had made a large purchase, but you’ve done no such thing. 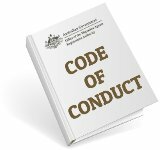 You’ve asked the legal decision-makers who represent the Australian Government to make a decision they are Constitutionally allowed to make. And that means the onus is on you to do the right thing to get that visa grant. You need to dot all the i’s and cross all the t’s on a proper visa application and lodge it in plenty of time before your current visa runs out. Yu have to organize yourselves and allow yourselves plenty of time to get this right, and you need to treat it as though your life depended on it. In fact your future happiness DOES depend on it, which means there’s no time to be casual about it. Getting distracted, or waiting until the last minute, and most definitely underestimating how much work is involved in a SUCCESSFUL partner visa application……all of these are bad mistakes. 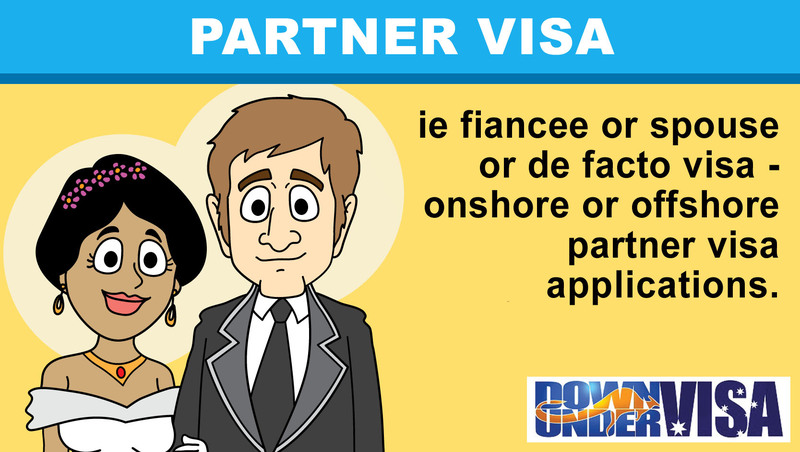 Partner visas take months of work to prepare, most definitely. 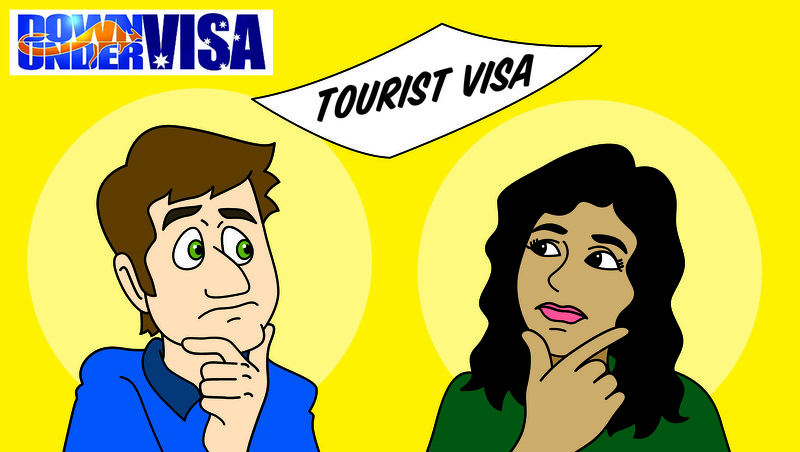 Further tourist visas are much easier, however they are still visa applications and should be given enough time to put them together properly so your particular case is presented as well as it could possibly be presented. 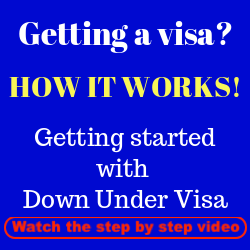 We have plenty of articles about bridging visas on the Down Under Visa BLOG page, all designed to help you to make informed and educated decisions about your future happiness. Forget the advice of well-meaning amateurs. 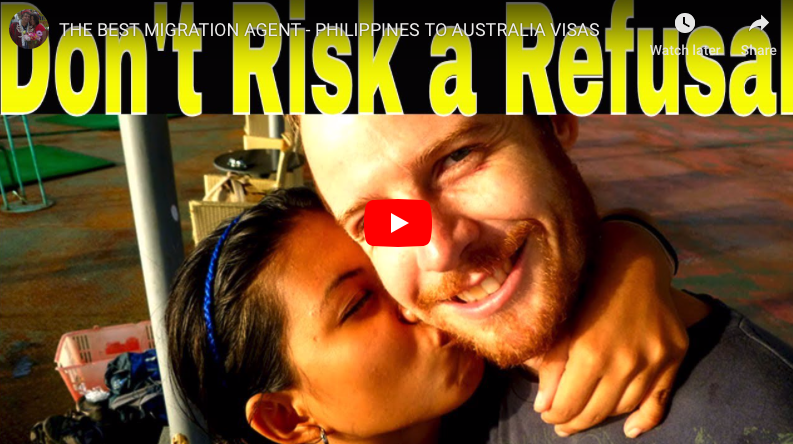 This all comes from Manila’s best Registered Migration Agents who see applicants trying to slap together last-minute rush jobs and have had to pick up the pieces more than a few times. Please be well organized and please get your facts only from those who know what they’re talking about. 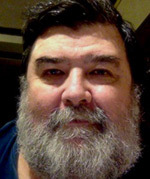 Hi, I have a question about the partner visa. I am leaving for Australia this coming Oct 7 2017 under Subclass 600 tourist visa. I dont have the condition 8503 this time. This is my second time to travel and visit my partner inAustralia. 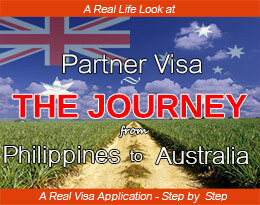 We are thinking about doing a partner visa while we are in Australia. 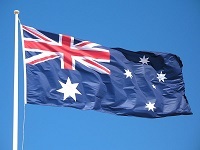 Can you help us the better way to use in lodging a visa while I am in Australia. I want to work but part of my conditions are: No Work But 3months study. So im thinking what can i do next so I can prolong my stay.